A Raja, DMK MP Kanimozhi and other accused in the case were acquitted by a special court in December 2017 for lack of evidence. K Palaniswami said "Raja was lodged in Tihar jail" in connection with the 2G spectrum allocation scam. 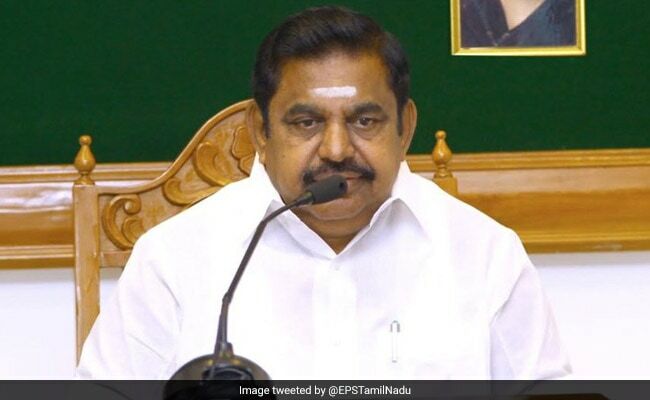 Taking a dig at DMK over the issue of corruption, Tamil Nadu Chief Minister K Palaniswami on Monday raked up the 2G spectrum scam and said the appeal against acquittal of former Telecom Minister A Raja and others was pending and they "will get what they deserve." The AIADMK Joint Coordinator was canvassing votes for M Thyagarajan, his party's candidate for the April 18 Lok Sabha elections from the Nilgiris constituency, where A Raja has been fielded by the DMK. Hitting back at DMK president chief MK Stalin for raising the issue of corruption in his campaign meetings, the chief minister said "Raja was lodged in Tihar jail" in connection with the 2G spectrum allocation scam. The CBI and the Enforcement Directorate have since moved the Delhi High Court challenging their acquittal. "The CBI has appealed (against the acquittal). They will get what is due for them. You are very much aware of that," Mr Palaniswami told the gathering, apparently hinting at a conviction of A Raja and others. He said the 2G spectrum allocation scam happened when A Raja was Telecom Minister in the UPA government, in which the DMK was also a part. He recalled that the CBI action was initiated against A Raja when he was a Minister. "If the DMK had been in the opposition, one can claim political vendetta....what can one say about Stalin who has fielded a person who has been to jail for corruption," Mr Palaniswami said. Further, he alleged A Raja did not take up relief measures effectively during the 2009 landslides in Nilgiris, which killed over 40 people. A Raja was the then Nilgiris MP. Mr Palaniswami asked should the people vote for a person "who did not meet" them and urged them to "teach him a lesson." On the other hand, the AIADMK government had taken up the construction of 450 houses for the victims, he said.